Ever-changing customer behavior and buying patterns coupled with the need to closely monitor operations, promotions and financial performance in real time are among the biggest challenges faced by retailers and restaurant operators today. These businesses, with numerous locations and large workforces, are challenged with the problem of ensuring that people from the top to the bottom of their organizations are aligned around the same goals and objectives. This alignment is especially important considering the need to address ever-changing objectives driven by customer, corporate, seasonal, and promotional mandates that impact their bottom line. After carefully fathoming the predicaments of retailers, the New Jersey-based Agilence has designed a suite of retail analytical solutions that accelerate “Time to Insight” as aptly described by Russ Hawkins, President and CEO of Agilence. In a competitive economy, the solution provides retailers with self-service insights into their business operations in a very efficient manner. “Agilence, a contraction of ‘agile intelligence’ defines our objective aptly. We are an insight service provider with exceptionally sophisticated software tailored for the retail business,” says Hawkins. “Our focused team, possessing extensive industry knowledge in both retail and restaurant operations, along with our analytics platform, enables executives and managers to identify problems, monitor performance and translate best practices to all locations across the enterprise.” Agilence created the 20/20 data analytics platform to aggregate data from different systems and to enable measurements that give retailers and restaurant operators’ deep insights into their business operations. The solution integrates and processes data from the point of sale (POS), transaction logs, HR, inventory, e-commerce, and other business systems to provide a detailed record of each store transaction, identify trends and assess whether people, programs, and processes are delivering expected results. “We democratize data by gathering it from various siloed systems into a central database and enable managers at all levels to ask sophisticated questions and track responses over time without a lot of IT involvement,” elucidates Hawkins. The 20/20™ solution has the capability to gather data from a virtually unlimited array of sources within a particular company and present results as concise reports and dashboards. 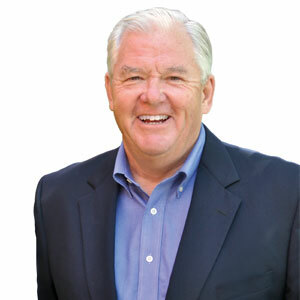 The solution empowers retailers to track and manage key performance indicators and execute strategies down to the lowest levels in the organization in perfect alignment with corporate goals. For many clients, a key part of the 20/20™ solution is its prescriptive alerting capability. When 20/20™ identifies store performance metrics that are heading in a positive or negative direction, prescriptive alerts can be automatically generated to store managers that detail a step-by-step action plan to either reinforce advantageous behaviors or fix problems within the enterprise. Hawkins shares an anecdote to highlight the advantages of their solution. For FiveBelow, a Philadelphia based retail chain, Agilence’s solution helped managers identify store level performance anomalies and eliminate over $225,000 in losses, get a better handle on their inventory netting more than $700,000, and reduce the cost of IT support by 80+ hours annually. In aggregate, 20/20™ delivered close to $1,000,000 in financial benefit during the first year; a return on investment of over 25X.